Frequent Flyer Program Comparison In The Philippines For Free Flights! If you’re flying around for business often or just love travelling in general, make sure you’re not missing out on racking up air miles! Everyone gets struck with a bout of wanderlust, but don’t always get the most out of flying! The fancy hotels, amazing travel deals and even free flights – what if I told you that you could be claiming all of these! When you sign up for Frequent Flyer programs, you get a ton of benefits! Our frequent flyer program comparison will help you choose which is the best for you to get the most from travelling! Whether you fly domestically or internationally, signing up with frequent flyer programs earns you air miles or points. And you can redeem these points to snag yourself additional extras that make your trip even more enjoyable! We’re talking free upgrades to business class or getting priority access to certain events. Even shopping is included! Let’s not waste any time and jump straight into our frequent flyer program comparison! Philippine Airlines (PAL) have a lot of partners under their frequent flyer program, whose services you can enjoy! And the Mabuhay Miles Travel Card is a multi-currency card that lets you spend in different countries! Points stay on your membership expire after 2 years if not redeemed. Benefits: Classic members can earn free flights and class upgrades. Elite members also get to enjoy access to participating VIP lounges of international airports. The ultimate frequent flyer program for shopaholics! There are so many ways to earn points – all you need to do is spend via partnering online platforms or credit cards from participating banks! If you enjoy shopping on Lazada, earn points! Every time you hire a Grab taxi? Earn even more points! The pesos to point ratio differs from vendor to vendor so check out their website for more info. However, if you book a flight with CebGo and Cebu Pacific, you earn 1 point for every Php5 spent. How to earn points: GetGo have partnered with many merchants, including banks, to help you build up your points. If you take out a CEB GetGo credit card, like the CEB GetGo Visa Platinum Card, you can earn 1 point for every Php30 spent. Different merchants will offer different schemes, like Grab offering 100 GetGo points for every 1,000 GrabRewards points. Check GetGo’s list of partners to see how to earn! Benefits: Members can earn free flights after building up enough points. Joining at certain times means you can take advantage of certain promotions, such as a 64 per cent discount off your next meal at Yoshinoya. Of the different options in our frequent flyer program comparison, AirAsia is one of the biggest budget airlines in Southeast Asia, winning many awards over the past years, most notably the World’s Leading Low-Cost Airline in 2017. 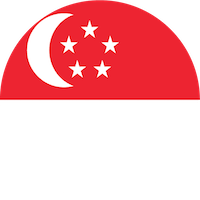 Not only is their service and frequency of flights all over Asia top notch, but their frequent flyer program means you can save even more on their already discounted prices! How to earn points: Once you’ve registered, you can earn points through six different ways. Booking flights using a Mastercard and their BigPay app earns 1 Big point for every RM20 (Php255) spent locally or abroad. Booking services with participating travel partners also earns points (point conversion varies from partner to partner). The same applies when shopping with participating merchants like Lazada and Sephora. Benefits: Members can redeem points to save up to 80% off flights. Priority bookings on accommodation can be done through points as well. And the more you travel in a 12-month period, the higher your membership tier is, starting from red and building up to black. We hope that our frequent flyer program comparison gives you more of an incentive to sign up for one or all of them! Get the most of your travels and share with your friends so they can reap the rewards!